Vestil EHLT-3 Lift Tables are designed to lift materials to an ergonomic working height making them ideal for reducing worker repetitive bending and fatigue. 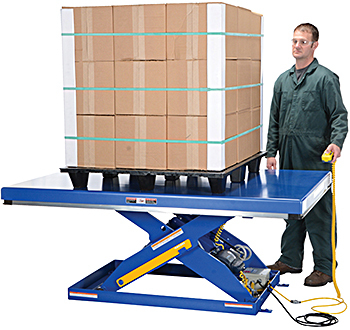 These hydraulic lift tables have a maximum capacity of 3,000 LBS, a lowered height of 7”, and a maximum raised height of 43” (other models available with various max. lift heights – see built to order tables below). 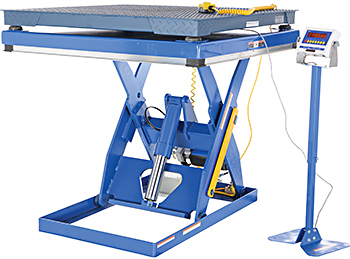 Scissor lift table safety features include an electric toe guard to protect pinch points while lowering the table, brass velocity fuse to maintain platform height regardless of hydraulic pressure, push-button hand control, maintenance prop, and an upper travel limit switch to stop the table at its maximum raised height reducing motor wear. 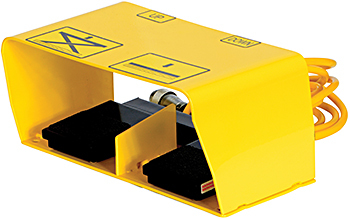 Lift tables come standard with a 2HP, 460v 3ph, 60 Hz totally enclosed motor, additional voltage options available including 115v/1ph, 208-230v/1ph, and 208-230v/3ph. 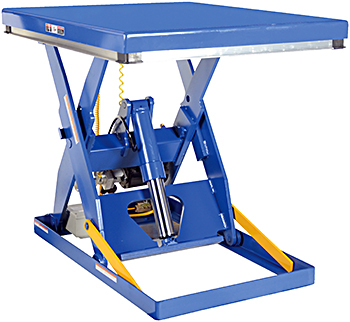 Vestil EHLT-3 lift tables feature all steel welded construction for years of reliable service. Other scissor lift table options include foot control, wireless remote control, scale, programmable height control, built-in manual carousel, and accordion skirting. Vestil EHLT-3 Quick Ship models have an estimated lead time to leave the warehouse of 5 business days. 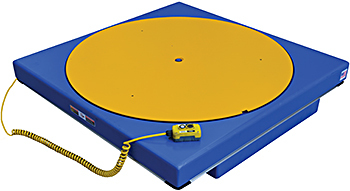 Built To Order models have and estimated lead time to leave the warehouse of 5 weeks. Voltage change to 115v/1ph, 208-230v/1ph, 208-230v/3ph (replaces standard 460v/3ph). Please specify voltage needed in order notes when checking out. Model VCC. 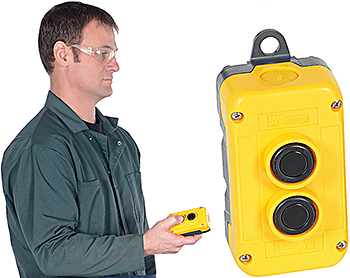 12V power option also available - please contact us for a quote. 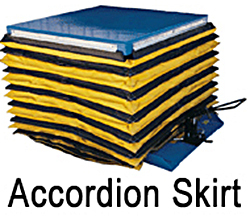 Accordion Skirting (contact us for pricing). Custom lift tables are available with up to 12000 lbs capacity, 82" lift heights, 62" widths and 144" lengths. Contact us with your specs for a quote at 888-990-1150.